How sacred.. How can any one doubt animals have souls? This was beautiful. Thank you . I have learned to love these incredible beings. I never knew they play, tease, have humor and love. Now this too. My heart has grown three sizes. Thank you for sharing your emotionally touching experience. It’s sad, yet somehow life affirming also. This planet is one giant interactive organism. We need to respect and embrace all life forms. And indeed, animals do have souls. Non human animals grieve, as hard, or harder, than humans do. I have seen it in my dogs and my rats and my cats. They all love, just as we do. Treating them as less than human, only highlights our ignorance and ego. We had two Saddlebreds (a mare and a gelding) that although were not gotten at the same time quickly became “joined at the hip” as surely as Romeo loved Juliette. When our Sonny had to be put down due to the ravages of laminitis, my mare, Katie, was of course allowed to sniff his body in order that she could realize the situation (they were inseparable even to the fact of one not being able to be ridden without the other one in tow) but after his burial in one of the pastures they shared, she would daily go to his grave and stand when she would take her afternoon naps. We watched in awe at her period of grief until another horse was brought in as a companion. I never really doubted that our animals truly have souls but this was proof beyond a shadow of a doubt and took place before our very eyes. This is a touching and interesting story, but I would strongly caution people about doing things like giving dewormers or any other drugs to wild horses without specific veterinary advice from a vet who works with wild horses. Since these horses have not been exposed to drugs, they can have quite severe reactions to “harmless” things like dewormers. And, any horse with a heavy parasite load can end up in potentially life-threatening trouble if you cause a massive parasite die-off in the gut at one time, which ends up releasing toxins from the dead parasites into the horse’s body. When we deworm horses taken out of the wild, we usually start with something milder than ivermectin, and build up to that one. One old stallion I have had a bad reaction to ivermectin, even with that strategy. Susan: We are not newbies this sounds a lot like a lecture…. I have personally owned and managed thousands of domestic animals and livestock animals ranging horses to cattle and sheep down to chickens, rabbits and pigs. I have saved dozens of wild animals ranging from deer to owls to snakes. I have turned (in the uterus) baby calves and saved both calf and cow from a breached calving. I have administered I.V. and I.M. and oral drugs, sutured, and set bones on many animals and many people and more… your anecdotal experience and advice might apply to someone else (emphasis ‘might’)… but your assumptions are just that… you have no idea who we are and what we know or have done… we successfully oversee over 50 wild horses in the wilderness and have done so now for the past 5-years, which is in addition to decades of managing a ranch and all that entails. There are thousands of stories of Vets prescribing meds where the animals dies or has a bad reaction… Having a Vet is good for people with no or little experience. Maybe you are one such person? AWHC also promotes the use of PZP… maybe you support them and their idea of wild horse management and the myth of ‘overpopulation’? And arguing with success is just obtuse… the Mare Lucy was healthier than ever after the treatment and foaled two healthy babies after Pixie. Lucy was however killed by a mountain Lion. And finally, Ivermectin is used extensively with many species and it has a very high therapeutic ratio and is usually well tolerated. William, I did not mean to lecture you, personally, and I apologize if it came off that way. I simply hoped to prevent others who don’t have your knowledge and experience from going out and giving wild horses meds they should not. You have to realize that when you post something online like this, others are going to see it as an example. We actually have a real problem in our area with well-meaning people going out and administering completely inappropriate medications to wild horses without either knowledge or permission. This can and does cause harm, and even death. We’re dealing with one right now whose injured leg (which was being monitored) got drastically worse after someone gave him a whopping dose of bute, causing him to “feel no pain” and leading him to use the leg in ways he shouldn’t have. He had been making some progress, and now he is worse than when he was first spotted. We also had a horse die after someone gave her a dewormer, causing a massive parasite die-off that led to an impaction. Deworming horses with heavy parasite loads can be a tricky proposition, and I’m sure you would agree that you don’t want random people heading out on the range and dosing horses with dewormers or any other drugs. Perhaps in future, if you are going to post about the activities you undertake to help the horses, it might be good to add a couple of sentences explaining your experience and qualifications, and that you are not advocating that people go out and do these things themselves unless they are similarly qualified. Just a suggestion. Oh, and just for the record, I am NOT a fan of the AWHC. They and their cronies have done far more harm around here than all of the well-meaning “medicators” put together. Susan: I do appreciate the clarification… so thank you very much! I wanted to mention that the BLM is seeking nominations to the WHB Advisory Board for the Humane Advocacy seat. I believe I can offer important insights that may lead to saving American wild horses, ending their plight once and for all… I have a Plan and it doesn’t require taxpayer dollars or donations… just need to socialize it a bit more… And by getting nominated to the Board, I would have the chance to do that. I am trying to be nominated to the ‘Humane Advocacy seat on the BLM WHB Advisory Board. Maybe you’d consider nominating me? 8) I am the only candidate who has an empirical understanding of the challenges facing our wilderness areas from depletion of wildlife and devastation from catastrophic wildfire. Having fought wildfires, most recently on the deadly Klamathon Wildfire fire line for 9-days, and importantly, documenting how the local herd of wild horses had protected many of the trees from destruction as a result of their symbiotic mutualisms with forests and ecosystems. We have a tiny window of time to implement a holistic solution to SAVE our treasured wild horses and burros. If we continue down the same path with the same people leading, we can only expect more of the same and potentially more grim images as wild horses head into extinction… now it’s up to you! Please write a short letter to the BLM stating you would like to nominate ‘William E. Simpson II’ as the ‘Humane Advocate’ to the BLM Wild Horse and Burro Advisory Board. 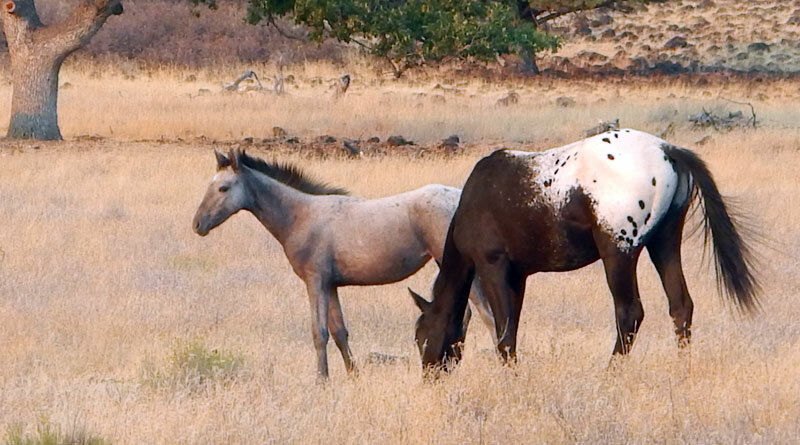 Submit nominations by e-mail to Dorothea Boothe, acting Wild Horse and Burro Program Coordinator, at dboothe@blm.gov. Thank you for sharing this powerful and heartfelt story. I too have been privileged to see similar deeply powerful, caring, compassionate, and spirit-filled interactions within the herds that roam through Washoe Valley, Nevada. Sitting back and observing with reverence, then moving in with permission, and connecting at a level that I have not found words to explain. I am grateful for the story you shared – WHAT A GIFT. Again, Thank you. Thank you for sharing this beautiful, heart-wrenching, humanity-filled story. I too have been privileged to witness similar spirit-filled interactions with herds who roam in Washoe Valley, Nv; I have not been able to find the words to express the essence of these interactions. Thank YOU for expressing so authentically. AND – MERCHANT MARINE???!!!! Did you perhaps attend Cal Maritime Academy? Blessings to you and yours and the herd that surrounds you. In 2010 our farm experienced a similar experience upon our first farm stallions passing. As he was dying, every horse, foals, broodmares, yearlings and our present farm stallion all came up to our first farm stallion and shared their breath with him as he was still standing in our backyard. We think our first stallion died from colitis or perhaps cancer, we don`t really know. Our founding broodmare did not have a foal for several years despite being with our present farm stallion. All the horses in our equine family moped around and acted very sad for many months after our first farm stallions passing. We of course had to call our vet and have him humanely put down as he was very thin and unable to stay standing much longer. We of course did everything we could to help him recover but to no avail. We all still miss Count Mein Too every day!! He was the kindest, most gentle thoroughbred stallion we have handled in 35+ years of working with thoroughbreds. We feel horses are very much like us and have people who work for us say the horses think were one of them! Thank you so much for Pixie’s story. Through you, she’ll be remembered from her birth, her life and her death. As awful as her death and that of her foal was, to witness her herd’s tribute , and that of Red Socks, was extraordinary. As a Hospice nurse for years, I’ve been with many people around the time of and at the point of their deaths, including our parents and family members. Most people close to passing have deathbed “visions” of departed family members who come to comfort them and to help them pass. The patients are usually awake, alert and having what appears to be one-way conversations. Afterward, some are able to describe exactly what they experienced. Witnessing such brief and sacred communications can be rare , because they happen spontaneously and are over quickly . But they are precious and can be life-changing. I was surprised (but not 😉 ) to see that animals have them, too. I’ve worked in adoption for retired racing Greyhounds for years and we’ve had 9 of these incredible dogs as family members, as well as other dogs. It has occasionally happened that they die unexpectedly , rather than by euthanasia, in my arms… in an unmedicated, and natural process. Our other Greys would gather around us, nose to nose, sharing breath , touching paws , lying close to their friend. Natural death is similar to natural birth in many ways, it happens in stages and not until the moment is perfect … but even if the dog appears to be in coma, like a person, suddenly her eyes flash open, she lifts her chin and she focuses , with rivetted, complete attention, on a point at the ceiling. You know what your girl looks like when someone comes to the door … it’s that but more intense … sometimes moving into a keen chase look , and a look much younger on her sweet face. I don’t know who or how many came, but watching this, my aching heart fills and pounds with gratitude, that she/he was being helped by someone she wanted to follow, into the next stage of life. My darling Greyhound Bonny did follow. Minutes before she breathed her last , lying on her side in her bed, she started running. She ran so fast, her legs were a blur, I’ve never seen anything like it. She was racing, competing with a Greyhound I couldn’t see, but thank God, who was there to help her move on. I lost my beloved mare a few weeks ago from chronic colic. She was boarded in a barn with a dozen other horses. After I made awful decision to put her down, the horse next to her who was her best friend and a calming influence on her, put his nose through the panel and touched her nose as if to say goodby. After the final act, I was heartbroken, even though I knew I’d done the right thing for my Snuggie. When I went home, my three cats took turns lying right next to me as I grieved and cried. I truly believe I’ll see Snuggie again but the love between the other horses, and the empathy my cats showed me, is more precious than I can explain. The opportunity you have had to bond with the band is something too few people have ever experienced. They and you provide a kinder and gentler world. Dear Readers: I wanted to share an encounter that predated this article by about 4-years. Laura and I ran across a colt high on a mountain slope at our ranch who had suffered an injury to a front leg and a rear leg rendering him seriously lame and unable to walk the distance to water and for adequate grazing. Thankyou for sharing this story, it’s so beautiful and sad at the same time. I also watched your video at youtube, also beautiful. I’m so jealous of your life! Bless you! If only our government and the Bureau of Land Management had the slightest inkling or consciousness about our precious wild herds, they could never commit the atrocities they perpetrate against them. Thank you for your story and your empathy. What a heartbreaking ,but wonderful story as well as information! Thank you for sharing this and I am going to share it day after day on my site until more and more people become aware!! Next time I pet my mule, I will know him better, now. Thank you so much for sharing this story, as hard as I know it must have been for you. And thank you so much for taking care of these beautiful creatures as we were intended to do. When I lost 1 of my old mares (Lady Baske) and was preparing the burial site, every one of her pasture mates came and stood by us while I dug the hole. They touched her and after I had covered her up came and blew into my face very gently and slowly wandered off to graze. It is a memory I hold dear. I know people have told me that animals do not have emotions like humans but I wholly disagree. We could learn a lot from the animals about compassion. Well, the results of that effort, a film school thesis project at Colorado State, has come to fruition and a powerful new documentary will be released this month (March 2019). This documentary features Pulitizer Prize winner & New York Times correspondent Dave Philipps, as well as yours truly. Please share this information, and stay tuned for the release of the FULL documentary this month! I haven’t seen it, so I am also looking forward to seeing it myself! Thank you! Having been raised in WY and living very close to and with several herds of wild horses, I can totally relate. Thank you so much for this article. I’m so sorry for what happened to Pixie, and I understand the horror of old barbed wire all too well, having had an elderly gelding that found some buried on my property 🙁 He unfortunately did not make it, and we’ve since then gone over our property again with a fine-toothed comb and sincerely hope we have now found it all. I find it facinateing how the horses in the article said goodbye and grieved; my older lead mare was the one that led me to my poor guy’s body, and despite that fact that I had his bucket of breakfast with me (and she is very food oriented), she paid no attention to the food and stood solemly nearby while I checked my poor old guy and realized he had already passed. They are incredibly special creatures and I can’t imagine how the horses left in my herd must have felt afterwards, they would visit his gravesite on occaission for months after this (we had him buried deep under the earth and rock, the barbed fence he had found was ripped out and buried with him, a surprisingly long length of fallen down fencing mostly buried in the earth except where he had caught his leg and pulled it up). I still visit the site, and my old lead mare often comes with me, standing stoically beside me and allows me to lean on her shoulder and cry into her mane. I don’t know for sure, but I think she may still be grieving too, or perhaps she is simply supporting me in my own grief. It is not just the wild horses that grieve. Over the many years that I have bred and raised horses, we have had occasion to lose babies and I have witnessed the mares standing guard over the place where we buried their babies, even twice foals that had been weaned and were on their own, so to speak. Such a rare and beautiful insight into the natural behaviour of wild horses. We could all learn so much from them. We recently lost a very treasured horse. I didn’t realize it at the time and wouldn’t have had I not read this, our other two horses came to him as he lay dying and “shared breath” with him. This comforts my heart. I’m so grateful my sister sent me this article. They do indeed grieve. My remaining two stand by his grave. It’s sweet but sad. We all miss him terribly. I’m sorry for your loss of Pixie & Dove. What a tribute to their memories they gave you this beautiful story to share.